We tried to mix in a little bit of everything; beaching, pampering, exploring and good eats, because I wanted this to be a vacation for all, and not just your typical bar crawling every day bachelorette party (while there is nothing wrong with that, I just can’t hang anymore..ha). 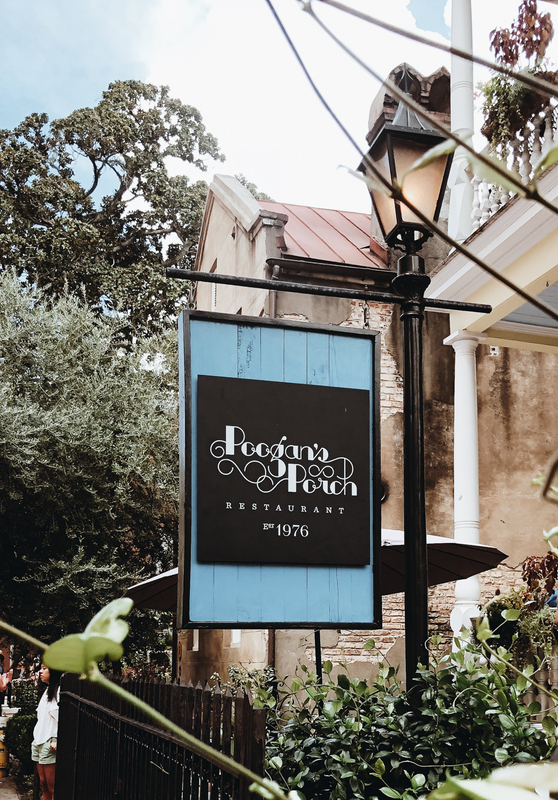 See below for a little photo gallery of the must-see spots in Charleston! I’m pumped that it’s only a 4 hour drive from Jacksonville because Stephen and I will definitely be going back as there’s a ton of spots I missed and have been dying to go to. You can’t go wrong with a stroll, bike ride or drive downtown through the historic district. The homes, churches, architecture, greenery and charm are to die for. I personally would not recommend the horse drawn carriage rides, and would opt for exercise on the holy spokes bike rentals you can find along most streets! We also shopped up and down King Street and found a ton of cute local boutiques which I cannot wait to stop into again. We also hit up a rooftop brewery called Revelry and it was great for a quick day drink or two. Unfortunately, the evenings were a bit of a blur…and the bars we hit up were pretty busy as it was Labor Day weekend, but you can’t go wrong with most bars along King Street!